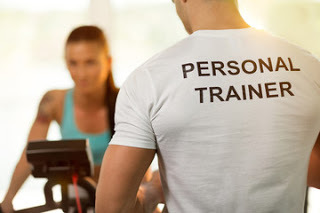 First and foremost let me tell you that I am a Personal Trainer, but this post will provide an insightful, unbiased opinion, or better put, pure facts on the advantages and disadvantages of hiring a Personal Trainer. So if you are looking to get in shape but you really don’t know where to start, this article will go right down your alley. Maybe you’ve never workout before or maybe you can’t afford to pay for a trainer or maybe you simply don’t have the time to go to the gym. Well, that’s why I’m writing this, to help you out. You basically have 3 options, each with its advantages and disadvantages. Let’s look at each one and then you can decide on your own which is better for you personally. This option is great for people who don’t have the time to commute to the gym 3 or 4 times a week. So it’s definitely a time saver. You can also look at it as a money saving option because you don’t need to pay for a gym membership or for a Personal Trainer. But you will need to invest in some equipment or at least in a home workout program to follow. You can even go as far as building your own little home gym if you are serious about working out. That will definitely be a big one-time investment, but it will pay off in the long run. Additionally, you also need to have the space to install everything. As mentioned above, the biggest advantage of training at home is comfort. You don’t need to commute, get stuck in traffic or pay monthly for a membership. On top of that, you have available plenty of workout programs, many of them including videos which explain everything really well, which you can use to get you started. They are not as good as getting hands-on advice from someone who has been training for a while, but they will do. Also, when you work out from home, if you are doing plenty of bodyweight training you can basically workout anywhere. So you could be traveling and still stick to your training routine without worrying about finding a gym. When you train at home you don’t have to wait in line for the bench press or any other machine and you don’t need to worry about hygiene or distractions. The main downside of training at home is that you will never have someone to teach you the moves, to motivate you or to guide you through your workouts. You are on your own. You need to be a self-taught individual and you need to find the inner motivation that will keep you going when the workouts start to feel harder. If you are a complete beginner, this is a major drawback because it will take you a long time to work on your form or to design a workout routine which is optimal or your goals, whatever they may be. So, if you do not know much about training I would recommend at least getting to a gym where you can find a training partner or even a personal trainer to get you started on everything. On top of that, I personally find that public gyms have a different atmosphere which is more motivating. Your second option would be to get a gym membership. And this is what most people do. They go out to a gym which is close enough to either their home or their office and they get a monthly or yearly membership which gets them access to the gym. This is how I started training and it worked out great for me. What I like about public gym is that you get access to tons of equipment and machines that are worth hundreds thousands of dollars. You can never have all that in your home gym. So you can perform any exercise or movement you can think off, there are no limitations. You also get access to extra facilities such as a sauna, a pool or Jacuzzi. But the biggest advantage is that you get to be around people from whom you can learn a lot. You can always find someone to train with, someone to get an advice from or someone to spot you. On top of that, I find a public gym to be more motivating and you will probably be more likely to stick with your training than if you would work out from home. Your local gym might not always be that close by. Sometimes it can take 30 minutes ride to get there, especially if you are living in a big and crowded city. So if you don’t have that much time on hand, that might be an issue. Another downside is that public gyms, the bigger ones mainly, can get really crowded sometimes, especially in the afternoon when everybody gets off from work or from school. So if you can, try to go to the gym early in the morning. Some people feel embarrassed in a public gym, which would negatively affect their workouts. If that’s you maybe you would be better off with training at home or at a smaller gym. Moreover, the cost of a monthly gym membership can add up over time, so you will probably end up spending more than you would’ve built your own home gym. Lastly but not least, you have the option of getting yourself a Personal Trainer. This is a great option if you lack knowledge. You simply don’t have any idea what exercises you need to be doing or how to diet and you don’t have the time to do a research and figure out what to do. By hiring a personal trainer you don’t need to worry about any of that. SEE ALSO: What are Fitness Supplements- Are they bad for you? The biggest downside of getting yourself a personal trainer is that you instantly get access to years and years of knowledge and experience right off the bat. This means you will start doing all the right exercises right from day one. That’s extremely important. As a beginner, you will see most of your progress in your first 6 months to 1 year after you started training. So if you are following a training routine which is optimal for you, your progress will be even better. Most personal trainers will also provide you with a meal plan to support your training plan and your goals. They can do on the fly changes to your routine based on how you are doing and they are always there to keep you motivated. You will be less likely to skip a training day when you know there’s someone there waiting for you and hold you accountable for it. And lastly but not least, the risks of injuring yourself by doing something stupid in the gym is so much smaller when you have someone with more experience watching your back. The biggest drawback is obviously the cost. Personal Trainers are not cheap and if you add to it the cost if the gym membership in can add up to quite a substantial amount each month. Another disadvantage may be the lack of knowledge and experience. You don’t want to assume right from the start that all personal trainers are super experienced and will know exactly what works best for you. So you might end up spending a ton of money on a trainer which will not get you the results you are after. That’s why I always recommend hiring personal trainers that your friends recommend or trainers that have proven records of their work. Remember that there’s no right or wrong choice here. Whether you decide to work out from the comfort of your own home, get a gym membership or get a personal trainer, if you make a thoughtful choice you can’t go wrong. Just pick the one which fits you best at this time. As a complete beginner, you want to either find a training partner or hire a personal trainer to guide you. As you become more experienced you should be fine working out on your own, either at home or at a local gym. Tyler is a NASM certified personal trainer with over 10 years of experience. In addition to training a wide variety of clients, Tyler is also the founder and senior editor of PTPioneer.com; a website designed to help people become industry leading personal trainers. You can also check out PTPinoeer’s YouTube channel as well. Great article breaking down the pros and cons! I do all of the above and find the benefits in everything!